You can’t keep a good man down..which is why after his battle with cancer just a few years ago Alex Lowe is back nearly 20yrs later with Hurricane#1. Together with a tight new line up, record deal as well as new documentary he’s back to what he loves doing best. 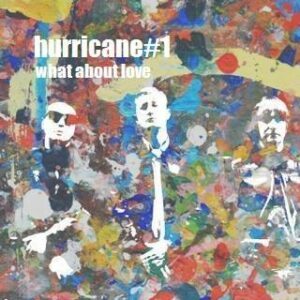 And with the future release of the bands new single What about Love, and album sometime this year it’s all go right now for Hurricane#1. Getting his comments on the new material/album as well as a look back at his own career since the early days of H#1 I talked to Alex Lowe. Louder Than War: Hi Alex and thanks for chatting to LTW.com – it’s all happening with Hurricane#1 as the band record their new single, sign a new record deal and play shows around the UK…so first off, you happy with how’s it all going? 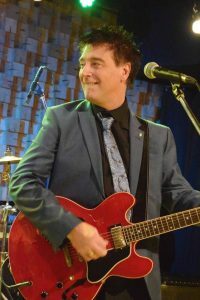 Alex Lowe – Hello… Thanks for speaking to me, great to talk with LTW. Yeah it has been a real busy time for the band. new guitarist, new single, and festivals and new record label. It’s all go in the Hurricane#1 camp at the moment…. WE are back with a massive sounding single which all H#1 fans will love its a bit ‘Step Into My world’ getting back to that epic sound. Tell us about the new album just recorded ‘Melodic Rainbows’, and the influences to your song writing these days. If you can describe the sound of the new H#1 tunes how would you put it and what would you say are the stand out tunes? The new album ‘Melodic Rainbows’ was actually released in Japan November 2016, but it will be released here in the UK and Worldwide this year. Its a very catchy album lots of songs with that big chorus that H#1 are famous for. Stand out tracks for me is Most Anything, Coyote Ahoy The new single we just finished and is reminiscent of old School Hurricane#1 a ‘little Step Into My world’ influence regarding my guitar solos I stuck on there. Hurricane#1 have 4 albums behind their belt with stand out tunes like ‘Only the Strong will Survive’ – how would you compare the new material to those songs? The fans still love the old hits and we have to play them I suppose but they are loving the new stuff just as much. Songs like Think Of The Sunshine and Most Anything are big favourites. I write totally different from the way Andy did but I reckon I can write a tune I think when you hear the new single proves that. So when can we expect to hear the new single (What about Love) and the upcoming album release Melodic Rainbows? And all to be released on the new label Strawberry Moon Records who you also recently signed to. We’re in a different era now where labels are not the ‘be all and end all’ they used to be, say going back to Creation days. But at the same time how important do you feel a good label is today and how did you get together with Strawberry Moon Records? The thing is labels aren’t needed as much in my opinion nowadays, so they have to be exceptional because bands and artists can do their own labels and release anytime they want without the hassle. Its sad really because I loved being on a label like Creation. Plus fronted by the lasted H#1 line up with drummer Chris Campbell and newest member Chris Mullin who played with Liverpool singer songwriter Digsy’s band ‘The Sums’…its looking like a real tight line up and one which works really well together? Yeah the band is now a band in the sense that we are all tight as friends and musicians, we do have a new guitarist joining us for the festivals. We have planned another Scouser which is great so we now have 3 and Scousers and a Scotsman in the line up. Back in 2014 when talk first went out that H#1 could be getting back together original member and ex Oasis Andy Bell’s name was obviously thrown into the mix..he went on to do his own thing but was it even something you was looking to do anyway. The 20th anniversary of H#1 is coming up..would it ever happen for something like that maybe. I would have loved for Andy to join Hurricane#1 for even a few shows and I have always said the door is open anytime for him. a 20th anniversary tour might actually happen, we haven’t really discussed it but maybe now is the time. Do you two still talk..it must of been a tense time and some what of a blow when your young and in a band which was breaking through only for Andy to join Oasis? Yeah we still talk on occasions for sure. 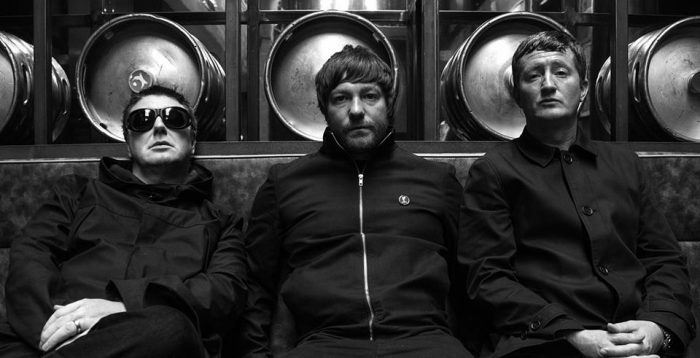 thing is if it wasn’t for Alan McGee and Andy Bell I wouldn’t be talking to you they gave me a chance to prove I could be a great front man and singer, and I think I have done a great job. Thing is Andy didn’t leave Hurricane to join Oasis he left because he had writers block and I think Creation was selling up to Sony at around that time. Andy actually went on to play with Gay Dad before joining Oasis. Yeah I remember..that was some move, Gay Dad to Oasis!, infact going back to the early days of H#1 what was it really like being on the same record label as Oasis. Was it true you and Liam had a run-in one night in the capital. About who was the biggest band on Creation. 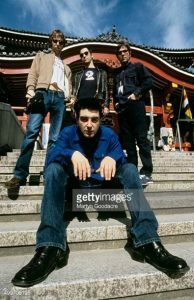 A long time ago indeed but what do you feel when you look back at those times now Alex, the 90’s, London, Oasis, Creation and the scene they called ‘Britpop’? Creation was a great label and to be signed to the best label in the UK at that time was amazing. being on a label with one of the biggest bands in the world was great in the sense that they were the band that basically kept the label afloat for other bands to do their thing on the label. I was never an Oasis fan and people thought I was weird but hey ho there ye go. Just because I wasn’t a fan doesn’t mean to say they weren’t a great band. the fight with Liam happened in Ronnie Scott’s Jazz club blown out the water by the press. I learned later that It was all a set up. But I have been listening to Liam’s solo stuff and its amazing I really love it! I’m actually a fan now. I think its way better than Noel’s stuff. We need people like Liam and myself, we are a dying breed of frontmen and that’s very sad. Aside from the music though it wasn’t that long ago you were in hospital battling cancer. Its a massive credit to yourself to be able to come back from such a blow with this whole new movement behind H#1 – and it really looks like things are paying off. Can you talk on how hard it really got for you and more importantly how you ‘stayed up’, came back and got to where your at now today? It was a nightmare to go throw I would never wish it on my worst enemy. Cancer Kidney failure blood transfusions radio therapy chemotherapy the lot all at once… I should be dead but here I am. I am meant to be back stage waiting to go on not in a bed waiting around to die. I also know you as an artist as well as a singer song writer, painting pictures which ppl such as Mike Tyson have purchased. Would you say staying creative all these years has been with out doubt one of the things which kept you going when times got really tough. Seems like you’ve never stopped being creative whether it be writing, music or painting? Painting gave me a new lease of life, it made me see the world in a whole different way. It got me out of the darkness and into the light as they say. But music is my first love and always will be. I kind of got sick of music that’s why I started painting, I got sick of the industry at one point. So how have the recent H#1 shows gone down, aksi how different is it to be on the road touring now compared to the 90’s and the early days of the band, maybe more tame but also more rewarding perhaps? Its still a buzz playing its all I know really and its all I’m really good at. But I do get tired easy these days due to my kidney failure, but I just keep smoking a long and doing the best I can. The voice is better than ever so that’s the main thing. Lastly Alex…whats the rest of the year looking like for H#1, what plans do the band have and where can we catch you live later this year? We will be releasing the new single “What About Love” and the “Melodic Rainbows” album and rounding off the year with a few festivals such as Beano Festival in Hastings on the 9th September and Shine Festival later in the year I think, November… cheers. 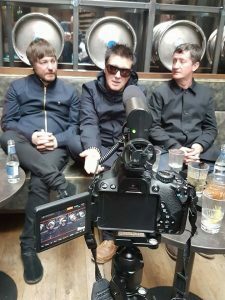 The post Hurricane#1: New Album, New Record Label, New Line Up – interview with Alex Lowe appeared first on Louder Than War.